Dylan Pearce played baseball at Southwestern Oregon Community College (SWOCC) starting in 2015. Pearce originally chose SWOCC because he loved the atmosphere and felt like it was the right place to be. He believes playing at this level with the NWAC, “gets you the experience you need to move on to the higher levels of sports.” And that is just what he did. Pearce went on to play at the next level at Oregon State University (OSU). “The move from NWAC to NCAA is very different. The atmosphere is different, how we play, go about things, school, etc. I adjusted very well and was happy that I made it to the school I dedicated my life to playing for,” says Pearce. OSU Head Coach, Pat Casey, just completed his 24th season with the Beavers. He was named the National Head Coach of the Year by the Collegiate Baseball and American Baseball Coaches Association (ABCA) after leading the Beaver’s baseball program to their third national championship in the College World Series. Pat Casey was recognized for this at Mariners pre-game on August 4th. Jo Paine Joined the NWAC after her leave from Stetson University to join The Clackamas Cougars, where she earned a positive 11-5 record throughout the regular season. 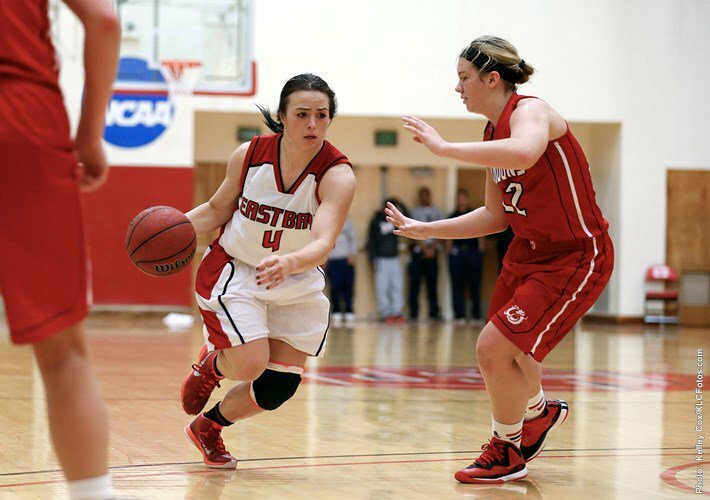 In her time playing for Clackamas Community College, she proved to be a consistent player, averaging a 46% field goal percentage, and a 70% free-throw percentage. This allowed her to average 23.13 points per game with a 46 point high against Umpqua Community College (Feb. 13th), making her the second highest leading scorer in the league. She was also 2nd in the league for rebounds, maintaining an average of 12.27 per game. Even with these high stats she distributed the ball, breaking into the league’s 3rd top spot for assists, earning 5.27 per game. With these exceptional stats, she obtained the award for Most Valuable Player in the southern region and was named the Baden Player of the Year. As a Wildcat, Jo Paine has Started for just over half of games played in her junior year. She’s shot an average of 12 points per game with a season high of 21 points against Cal State San Marcos (Dec. 3rd). Her 45% field goal is the 3rd highest on the team, and her 75% free-throw percentage has helped contribute to her consistent numbers. On the defensive end, she has averaged 6 rebounds and 1 block per game. She also racked up a season high of 12 defensive rebounds against Fresno Pacific (Nov. 22nd). Paine and the Wildcats finished the 2016-2017 season with a record of 15-12. Dominique Jordan played for the Bellevue College Bulldogs during the 2014-2015 season. Throughout his year with the team, he put up an average of 16.08 points per game with a season high of 28 against Whatcom (Feb. 25). His field-goal percentage was 39%, while his 3-point percentage stayed very close behind at 37%. The 77% free-throw percentage he earned contributed to his consistent scoring. By the end of the regular season, he was named Most Valuable Player in the northern region and was also named the Baden Player of the Year of the Northwest Athletic Conference. Jordan and his team carried on to finish in 5th place during the NWAC Championships. Jordan made a smooth transition from Bellevue to Idaho, maintaining good stats throughout his post NWAC career. In the 2015-2016 season, he clutched a 39% field goal percentage, while averaging 37% from behind the arc, with a 70% rating from the foul line. This led him to produce 10 points per game, with a high of 25 points scored against Southern Oregon (Jan.15th) making him the 3rd best scorer on the team. He also chipped in 2 assists per game. He was a starter for 27 games out of 30. Jordan completed his senior year at the College of Idaho this season, maintaining a 37% field-goal percentage, and an even higher 3-point percentage at 40%. Jordan and his team finished with a strong regular season record of 15-5, and made it to the semi-finals of the Cascade Collegiate Conference. While Demetrious Trammell played for Yakima Valley during the 2016 season, he maintained a high 3-point percentage of 51%, nearly good enough to match his overall field goal percentage of 52%. He accumulated an average of 17.6 points per game, and made 87% of shots from the free-throw line, with a career high of 36 points against Wenatchee Valley (Feb. 27th). This led him to snag a spot as a top 20 scorer in the NWAC, and earn 2nd team East Region honors. He helped the Yaks reach the NWAC playoffs, and advance to the final 8. In the three playoff games last year, Trammell averaged 19.3 points and shot 13/30 from the 3 point line. Trammell’s postseason performance in the 2016 tournament yielded him an average of 19.33 points per game, with a high of 33 against Columbia Basin (Mar. 12th). He shot a perfect 9/9 from the line and a solid 47% from the field. He accumulated the most points of all players playing 3 or less games, and his points per game average was 3rd overall among all players that played 2 or more games. Trammell is currently a junior at Western Oregon, putting out a 9.4 scoring average, making him the 3rd leading scorer on the team. His 40.6% 3-point average is the highest on the team, and remains astoundingly close to his 42.5% overall field-goal percentage, which shows his ability to make shots regardless of distance. Demetrius is also one of Western’s most reliable free throw shooters, at 80% from the stripe. This season, he scored a personal high of 21 points against Central Washington (Dec. 29th) and has helped the Wolves get to a 10-6 record in GNAC conference play. Demetrius is one of three former NWAC standouts on the Wolves' roster. Averaged 18.1 points and 7.9 assists per game last season at Lane Community College ... named NWAC Tournament MVP after leading the Titans to the NWAC championship ... earned All-Southern Region First Team honors ... career at Lane, Snook scored 1,232 points, dished out 419 assists and had 382 rebounds ... shot 49 percent from the field, 32 percent from behind the 3-point line and 70 percent from the foul line ... holds multiple career records after two seasons as a Titan: scoring, assists, field-goals made (439) and free throws made (294) ... scored 30 or more points nine times in her Lane career, scoring 44 points as a single-game high, and had 10 or more assists in 16 game ... carries a 3.6 grade-point average on the academic vice president list and was awarded NWAC academic excellence. Shebly has started in 21 of 22 games this season for the Wolves averaging team highs of 13.9 points per game, 3.0 assists per game and minutes per game with 34.3. Snook is second in rebound per game (5.0) and third in steals with 22 on the season. She tallied a season high 31 points against St. Martin's University on December 3rd and had another 30 point performance against Montana State Billings on January 14. The Wolves currently have five former NWAC standouts on the roster. Outdoor: Named to the Big Sky All-Academic team… At the Big Sky Outdoor Championships, placed 20th in the 3,000 meter steeplechase… Early in the season at WAR 9, Klemke earned the Al Manuel in the 5,000 with a personal best of 15:58… Also scored a personal best at the Pelluer Invitational in the 1,500 with a time of 4:05. Named All-NWAC First Team in 2013…Earned team captain in 2014 and was honored as Second Team All-NWAC player…Won Player of the Week honors three separate times while at Walla Walla. So far as a senior has started 21 matches out of 22 and has rallied with 166 total kills, currently averaging 3.41 digs per set good for second on the team, and leads the team with 24 service aces. Chantelle recorded a team-high of 10 kills and 7 digs in the 3-0 victory over Florida National on October 10. Chantelle was named Sun Conference Attacker of the Week for matches played between Oct. 3-9. KU Seahawks are currently 18-4 overall and 5-3 in conference play. The Seahawks are set to play their next match against Johnson & Wales University (Fla.) on October 26, 2016 [watch live]. During the Northwest Athletic Conference 2015 campaign, finished with 14 goals and 3 assists… finished with a team-high 31 points… named NWAC Southern Region MVP and assisted Chemeketa with a third-place finish in conference play. Has appeared in all 10 games thus far in 2016… current statistics at EOU include 6 goals and 3 assists... Elvis scored 2 goals and had one assist in a victory over Walla Walla University. EOU is currently 8-4-1 overall with their 8th conference game on October 14th against Rocky Mountain College. Full Men’s Soccer standings can be found on the Cascade Conference Website. During the 2015 season, appeared in 19 games and started in six… Scored a total of 3 goals, tying for third on the team along with tying for fourth in total points with eight… Assisted with the first goal of the season on August 21, 2015 against UTEP… Also tallied 2 game winning goals and one assist against the team’s first match-up against University of Idaho… Was selected to the Big Sky All-Academic Team in 2015. EWU is 10-1-2 on the season overall with their next game on October 14th against Southern Utah University. Other members of the EWU Women’s Soccer team that are also former NWAC players include Madi Gale from Highline CC and Emily Busselman from Spokane CC. Set the junior college national record in the 10,000 meters at the 2014 Mt. SAC Relays ... she ran a 34:29.36, breaking the national record by four seconds ... 2014 NWAC High Point Award winner at the NWAC Championships ... 2014 NWAC 1,500, 5,000, 10,000, and steeplechase champion ... 2013 NWAC 1,500 and 5,000 champion ... won the 2012 and 2013 NWAACC cross country titles ... ran a 17:51 in 2013, and a 17:59 in 2014 ... cross country All-American in 2013. In her junior year, placed first at the Cross CountryErik Anderson Invitational, running unattached, with a time of 18:34 over the 5,000-meter course … during the indoor season, ran the sixth-best time in GU history a 9:55.46 at the UW Indoor Preview in the 3,000 meters … ran the third-fastest 5,000-meter indoor time at the Husky Classic at 17:00.66 … she opened the outdoor season with a first place finish in the 800 meters with a time of 2:18.85, and a second place finish in the 1,500 meters at the Buc Scoring Invite with a time of 4:35.88 … broke the school record and placed first at the Stanford Invitational in the 10,000 meters with a time of 33:40.82 … placed third at the Oregon Relays with a 5,000-meter time of 16:16.88, the fastest time in program history … ran the 10,000 meters at the NCAA West Preliminary. Finished 5th overall at the 2014 NWAC Championships and 1st overall at the 2015 NWAC championships earning All-American honors in both years. Placed 12th overall of 93 runners (7 schools) at the Clash of the Inland Northwest Invitational and 3rd overall on the team. At one of the largest meets in the nation, the Roy Griak Invitational at the University of Minnesota, James finished 153rd (2nd on the team) of 263 runners. The field consisted of 29 Division I teams including 7 of the top 30. Helped Clackamas to the 2014 South Region Title with a perfect 10-0 league record and a 4th place finish at the Northwest Athletic Conference Championship tournament. On the season Megan tallied 133 kills and her .342 hitting percentage was the best on the team and 4th in the NWAC. As a senior this season has started all 12 matches thus far with 62 total kills, 10 service aces, and leads the team with 11 total solo blocks. Minke’s KU Seahawks are currently 10-2 on the season which in includes two undefeated runs through non-conference tournaments. Led Spokane to the 2015 Northwest Athletic Conference Women’s Soccer Championship…led the NWAC with 29 goals, breaking the CCS school record…named the NWAC East Region MVP and an East-West Region All-Star…also tallied 11 assists as CCS finished 16-2-1 in 2015…also competed in track and field for Spokane in the sprint and relay sprint events. Has appeared in all 5 games thus far in 2016, leading the team in goals scored at 3. Alysha scored the lone goal [video] in a 1-0 victory over #13 ranked Santa Clara and scored two goals [video]in the 2-1 win over the University of Montana. WSU is currently 3-2-1 & ranked 30th in the RPI, with Pac 12 play beginning on September 23rd against Colorado. Eight WSU soccer matches are currently slated to air on the Pac 12 Network. Played two seasons at Peninsula College in Port Angeles, Washington... Named to the all-star team in both seasons and won back-to-back NWAC championships for the Pirates... Recorded 23 goals total and 12 assists. Started 15 games for the Cavs as a junior… Made CU debut against Humboldt State on Sept. 4 where he scored a goal and added an assist… Finished second on the team with nine points after scoring three goals and adding three assists… Logged 1,293 minutes for fourth on the team… Played every minute in nine matches, including 110 minutes in a 3-3 tie versus MSU Billings and a 0-0 tie at home against Seattle Pacific… Took two of the team’s three penalty kicks on the year, converting both chances. 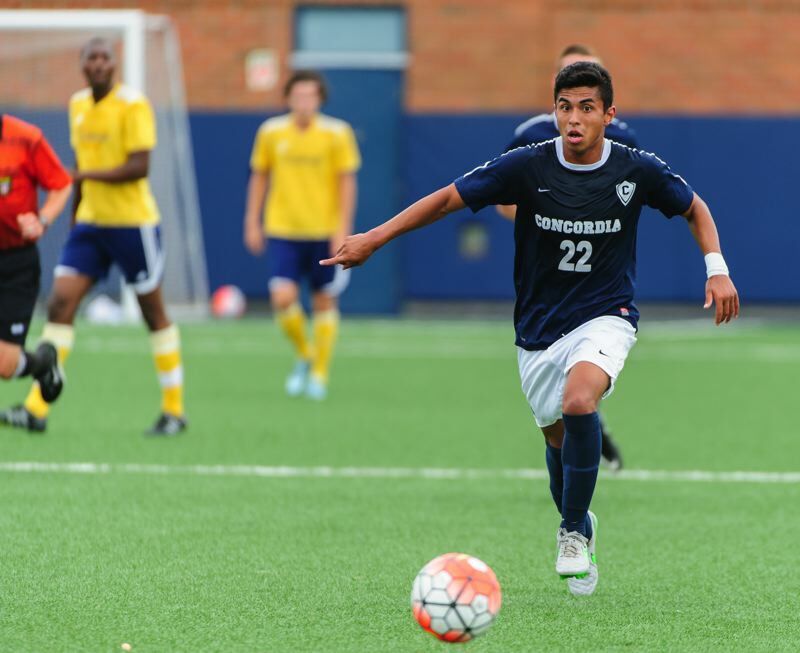 Has started 1 of 2 matches thus far as a senior… Already logged a goal scoring on a PK against Hawaii Pacific in the 79th minute which gave Concordia the 2-1 win. Concordia is 2-0-1 on the season with 3 games remaining before conference play begins on September 24th vs Montana State Billings. MSU Billings currently has two former NWAC players on it’s roster including former Peninsula College teammate Victor Sanchez. SENIOR (2016): Started 37-39 games so far this season… batted .529 (9-for-17) with a double, home run, five RBI and four multi-hit efforts over five games at the Husky Classic...went 2-for-4 against Bradley and followed with a 2-for-3 showing at Seattle University that included a double and a game-winning three-run homer (March 5)... hit two homers and drove in three runs against Texas Tech (March 20)... hit a solo homer in series opener against Fresno State (March 29)...posted her second two-HR game of the season in the finale against UNLV, going 2-for-3 with three RBI (April 10). 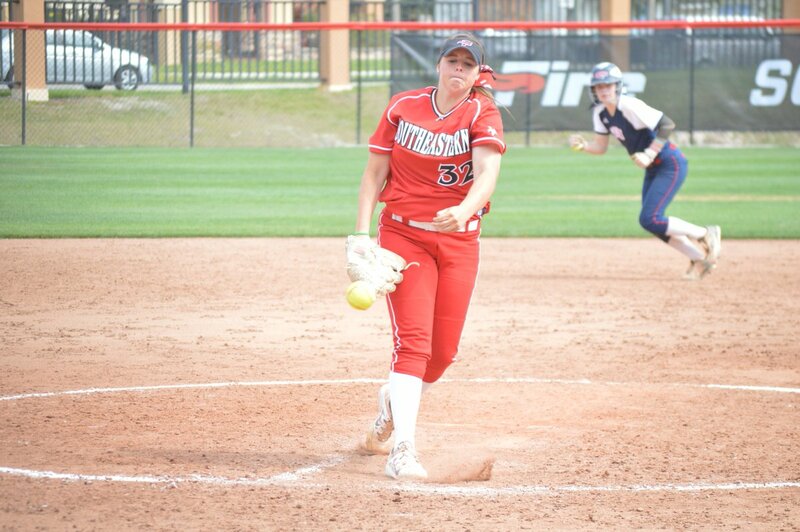 JUNIOR (2015): Started 47 of 50 games, batting .263 with four home runs, nine doubles and 17 RBI... went 3-for-3 with two solo home runs in win over Montana (March 7)... went 2-for-3 with a home run and two RBI in the second game of a doubleheader against UNLV (April 7)...had two hits, including a double, in the series finale in Vegas (April 8). SOPHOMORE (2014): Named Northwest Athletic Conference (NWAC) Southern Region Most Valuable Player for the second year in a row...helped lead the Saints to 39-3 mark and the program's fourth NWAACC title...batted .481 with 63 hits, 14 home runs and 63 RBI. FRESHMAN (2013): NWAC South Region Player of the Year...led the league with 21 home runs and 60 RBI...also named NFCA NWAC All-American, to All-NWAC South Region First Team and All-NWAC Tournament Team...helped lead the Saints to a 39-7 record in 2013, including 16-4 in conference play. 2016 (Senior): Started 30-30 games so far this season…used primarily as an outfielder, Gee had a .278 with 35 hits off of 126 plate appearances…scored 20 runs with 1 homerun and 17 RBIs…collected 11 stolen bases with 14 attempt. 2015 (Junior): Appeared in 48 games, starting 45 … used primarily as a outfielder, Gee had a .283 batting average with 45 hits and 14 RBIs during 159 plate appearances … recorded 13 multi-hit games, including four games with three hits … had a season-high two RBIs four times throughout the season … had one home run at Mississippi State (Feb. 21) … collected 12 stolen bases on 13 attempts … finished the season with 26 runs, 12 walks and seven doubles. Pierce: Helped lead the Raiders to a Northwest Athletic Conference Championship (NWAC) in 2012 ... was named First Team All-NWAC in 2012 and 2014 and earned the NWAC West Division MVP in 2014 ... was named a First Team All-American ... teammate Elliot Morris is currently in the San Diego Padres Organization. As a sophomore, helped the team capture the Northwest Athletic Association of Community Colleges Golf Championship…named a first-team all-conference player in the NWAACC …won four individual titles over two years with the Sasquatch…helped lead the team to 15-straight tournament titles during his freshman campaign. Senior (2015-16) – Best finish through four tournaments was at the Itani Quality Homes Collegiate, where he tied for 19th as an individual and shot 1-under par in the first and third rounds…maintained a scoring average of 74.5. Junior (2014-15) – Competed in five tournaments for the Cougars…at the Alister MacKenzie Invitational, Oct. 13-14, carded a single-round 64…the mark is a career-best and the second-best score in school history…best finish came at the Southwestern Intercollegiate, Sept. 8-9, tying for 21st…maintained a scoring average of 73.93. Played one year at Columbia Basin…Won 5 Tournaments including the NWAC Championship where she shot 74(+2) and 72 (E) for a Total 146 (+2). Also won NWAC Player of the year award. As a sophomore helped Eagles to a 10th place finish at the Thunderbird Invitational finishing T66 shooting 86 & 80 for a 166. Gave a solid performance at the Boulder Creek Invitational last month , finishing just outside of the top 20, tying for 22nd. She shot 239, with a low of 77 in the first round, and totals of 79 and 83 in the subsequent rounds. Has recorded 100.1 innings pitched thus far as a junior with a 13-1 record… 126 total strikeouts (3 games with double digit strikeouts)… 1.79 ERA and twice named The Sun Conference Pitcher of the Week. 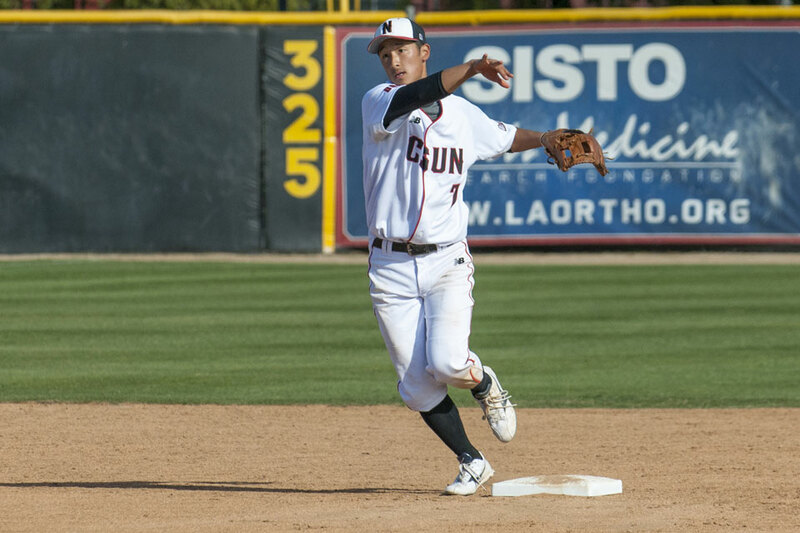 As a senior has started in 19 of 20 games with a .301 AVG, 10 RBI's, 22 H's, 21 R's, 13 BB's and 11 SB's… Fielding .979% with 33 PO's and 60 A's…CSUN currently has a 18-3 record with conference play set to begin April 1. This season as a senior, started 19 of 23 games played…Shooting 42% FG…Averaging 9.5 ppg, 3.8 rpg, is second on the team with 50 total assists and leads the team in steals with 41 total… Linfield is currently 12-11, with their final games this weekend against Pacific and undefeated, top ranked George Fox. As a senior, started 19 of 21 games played…Shooting 50% FG, 45% 3FG, and 76% FT…Averaging 15.4 ppg, 2.3 rpg, 5.3 apg (leads team) and 48 total steals (leads team)…Also leads team in 3 point field goals made…Named Cascade Conference Player of the Week… Warner Pacific is 14-4 in conference play and has clinched a birth to the post season. Played two years at Bellevue College…earned MVP honors at the Bellevue Classic in both seasons...earned Second-Team All-NWAC honors as a freshman...earned First-Team All-NWAC honors during sophomore season and was selected to play in the NWAC All-Star Game...averaged 10 points, 4.5 rebounds, 1.8 steals per game, & totaled 28 blocks (13th in the NWAC) as a sophomore...led Bulldogs to conference championship and 5th place finish in NWAC championship tournament. Career best game came against Everett shooting 9/11 FT, 50% FG%, 23 pts, 9 rebounds, 2 steals, 1 blocked shot. Last season as a junior, started in 25 of 28 games for the Beacons , averaged 7.8 ppg, 5.1 rpg (lead the team) and totaled 24 blocked shots (2nd on the team) and 34 steals (2nd on the team) on the season ... Season high game came on the last game of the year vs Corban, scored a game high 19 pts and 8 rebounds. This season as a senior, started 13 of 14 games played…Averaging 6.2 ppg, 4.6 rpg and shooting 73% FT… NCU is currently 11-5, in Cascade Conference play (4th in standings) and has clinched a berth to the conference tournament. First-team Northwest Athletic Conference Northern Region All-Star and All-Defensive Team pick as sophomore in 2012-13 ... Helped Tritons to 26-4 record, North Region title and championship game of NWAC Tournament ... First-team all-tournament choice ... Averaged 20.6 points, shooting 41 percent (61-of-150) from 3-point range, 5.3 assists and 4.6 rebounds ... Scored season-best 36 points versus Everett CC ... Did not compete as freshman in 2011-12 because of severe ankle sprain ... Played 2010-11 season at North Seattle Community College. This season as a senior, has started in all 23 games…Averaging 16ppg (2nd on team & 7th in GNAC), 2.48 rpg, and 4.6 apg (1st on the team & 5th in the GNAC)…Shooting an even 50% from the floor (12th in the GNAC)… 76% from the FT line…2nd in GNAC in assist to turnover ratio…5th in GNAC minutes played…& ranks among the GNAC's top 25 in steals…WWU is currently 14-9 on the season and in contention to make the GNAC Tournament. As a freshman in '12-'13 lead the team with 13.96 ppg & 6.46 rpg while also tallying 36 steals and 9 blocked shots on the season...Helped lead his team to a 2nd place finish in the south region, and a trip to the NWAC tournament… As a sophomore was named First Team South Region… Among the NWAC top 15 in scoring (19.1 ppg) and rebounding (8.3 rpg)…shot 48% from the field and added 21 blocks on the season… Top game included a 30 point, 12 rebound, 5 assist, and 4 blocks performance against Lane… lead team to a 21-9 overall record and a trip to the NWAC tournament. This season as a senior, currently ranked in the NAIA top 25 in total steals (37) and rebounds (170)…Leads the Frontier Conference in Double-Doubles (7)… Averaging 15.6 ppg (leads team), 7.4 rpg (leads team) and shooting 52% FG. Recently named Frontier Conference Player of the Week where he shot 57% from the floor and averaged 25 points and 7.5 rebounds… Montana Western is currently 14-9 and is the 25th ranked team in the Nation. Named First Team All-Southern Region and All-NWAC…Averaged 28 points and nearly six assists during the NWAC Championship Tournament...Set tournament and program records with 112 tournament points in four games...Scored 42 points in a victory against Skagit Valley...Led the NWAC in made 3-pointers (112), ranked second with 181 assists (6.2 apg), fifth with 545 points (18.8 ppg), and sixth grabbing 75 steals (2.6 spg). Appeared in the final 17 games off the bench in her first season at Cal State East Bay...Knocked down at least one 3-pointer in final 15 games...Finished 33-of-95 (.347) from distance...Ranked second on team in 3-pointers made despite missing nearly half of season while recovering from injury...Averaged 7.2 points per game...Scored season-high 17 points in program's first ever CCAA postseason win (March 5)...Went 6-for-6 at free throw line in win over Cal Poly Pomona (March 5)...Scored in double figures four times...Made three 3-pointers in six different games...Finished with 123 points...Averaged 2.0 assists and 1.9 rebounds per game...Named East Bay Female Athlete of the Week (Jan. 27). As a sophomore in '13-'14 named to North Region All-Defensive team ... averaged 15.1 ppg and 7.2 rpg during sophomore year ... had eight 20-point games with a season-high of 26 against Yakima Valley and 10 games of 10-plus assist with a season-best 17 vs. Lane CC ... led the NWAC in steals (3.14) and assists (8.57) that year ... named to the All-Tournament Team of the Green River Crossover Tournament ... was the Defensive Player of the Year ... guided Trojans to the Clackamas Holiday Tournament championship and was named MVP ... was the NWAC Co-Player of the Week (Feb. 17) ... was second in the NWAC in assists during freshman year (6.2). Played in 24 games this season, making 4 starts… Averaging 4.8 ppg, 2.8 rpg, 1.8 apg, and 1.4 spg on 42% FG in 15 minutes per game. Had 7 steals vs Dixie State and season best performance of 4 assists, 5 steals, and 15 points in win over Holy Names. As a freshman, averaged 8.7 ppg, 1.5 apg, 2.8 rpg, and 1.1 spg helping Chemeketa reach the NWAC tournament, finishing in 4th Place. As a sophomore, averaged 13.6 ppg, shooting 92% from the FT line. Also added 1.9 apg, 3.9 rpg, and 1.7 spg. Earned South Region All First team honors while again leading Chemeketa to a 4th place finish at the NWAC tournament. Currently as a senior, has started all 21 games for EOU, averaging 11.8 ppg, 3.5 rpg, 2.0 apg, and 2.0 spg (8th in the Cascade Conference). Klebaum is also 8th in the Conference in 3FG made (53). Season best game came last Saturday against Corban, Jordan scored 22 points, knocking down 6 3's and adding 7 assists, and 4 steals. EOU is currently 14-8 on the season, 10-3 (3rd) in conference play. Played in all 31 games, as a junior... averaged 12.23 points and shot 42 FG%, 42 3FG%, & 86 FT% ... 4th in the Frontier Conference in 3FG% and 3rd in FT%... Was ranked 26th in all of NAIA D-I in 3FG%... Played in all 18 games thus far as a senior helping his team to a 13-5 overall record…Averaging 12.4 ppg, 4.3 rpg, and 1.06 spg. Coach Huse had this to say about Warren, "Warren is an extremely competitive guy with that rare ability to break a game wide open with his shooting. We look forward to seeing him shine in his senior year as he is one that puts a tremendous amount of off-season work into his game." Named NWAC West Region MVP...Averaged 16.8 ppg, 8.03 rpg, 2.83 apg, and 2.47 spg, helping her team advance to a 5th place finish at the NWAC tournament... Posted 9 double-double nights, including an 11 rebound, 22 point performance over rival Lower Columbia in the NWAC tournament. Led the Wildcats in rebounding (144) and blocks (17) in 2014-15…Third on the team in scoring (9.3 ppg)…Scored in double digits in 12 games while posting a pair of double-doubles…Poured in a season-high 19 points Jan. 24 vs. Cal State Monterey Bay…As a senior has started the last 6 games for the Wild Cats and has appeared in all 15 games. Averaging 9.8 ppg, 3.0 rpg, 1.3 spg, and shooting 77% FT. Averaged 12.2 ppg, 6.9 rpg, 2.2 bpg (4th in the NWAC)…63.9 FG% 2nd in NWAC…Named to first-team all NWAC…first-team West Region, and West Region Defensive Player of the Year. Played in all 26 games as a junior and started 18…lead the GNAC in FG% .707 (129/183)… 2nd in the GNAC in blocked shots 69 total (2.7 per game)…Lead the team with 47 total offensive rebounds…Averaged 12.1 ppg, 5.5 rpg in 24 minutes per game…As a senior this year has started in 9 of 10 games…averaging 17.0 ppg, 7.0 rpg, and has totaled 27 blocked shots…Stroud is currently 5th in the GNAC in scoring, 7th in rebounding, 6th in offensive rebounds, 2nd in FG% (.616) and 1st in blocked shots...The Wildcats are 3-2 in conference play with an 8-2 overall record…Recently Stroud recorded 11 points, 7 rebounds, 4 assists, and 2 blocked shots in the CWU 81-77 upset win of #3 nationally ranked Western Oregon. As a junior voted Cal State East Bay Female Newcomer of the Year...Started all 31 games as team's point guard...Scored go-ahead 3-pointer in program's first ever CCAA postseason victory (March 5)...Averaged 5.2 points, 3.8 rebounds, 3.0 assists, and 1.4 steals per game...Scored career-high 13 points twice...Posted 13 points in 17 minutes against San Francisco State (Feb. 7)...Dished out season-high six assists in two games...Ranked second on squad with 95 assists...Grabbed 11 rebounds against Cal State San Bernardino (Feb. 20)...Earned CCAA All-Academic Team honors. As a senior averaging 11.4 ppg, 5.3 rpg, 4.1 apg…FT% (.860) is a team best and 4th in the CCAA…Recently coming off of a 20 point, 5 rebound, 3 assist, 63 FG% performance against CCAA opponent Stanislaus State…Cal State East Bay is currently 5-0 in conference play and 11-2 on the season. Two-time NWAC West Region First Team member...NWAC All-Defensive Team as a freshman...Averaged 11.6 points, 4.1 rebound and 3.5 assists as a sophomore...Helped Red Devils finish 22-7, take runner-up in the West Region and place sixth in the NWAC Women's Basketball Championship...Voted to the NWAC Sophomore All-Star Game...Averaged 11.0 points, 4.2 rebounds and 3.6 assists as a freshman...Tallied 35 career double-figure scoring games...Career-high 30 points during sophomore season...Also compiled single-game, career bests of 11 assists and 10 rebounds. Appeared in 16 games with 16 starts as a junior ... Lead the team in 3-point shooting percentage (.354%) ... Second amongst Nanooks in assists with 48 ... Averaged 8.8 points per game ... Tallied 11 steals, 2 blocks and 44 rebounds ... Career high points with 17 on Jan. 8 against Saint Martin's ... Tied for third amongst Nanooks in minutes per game (25.7). Has started in all 13 games as a senior for the 5-8 Nanooks…Averaging 8.8 points, 2.3 rebounds, 3.5 assists, and 1.2 steals in 29.2 minutes per game. Matched her career high of 17 points on Dec. 19 against UC San Diego. Currently leads the team in assists with 46 total on the year.